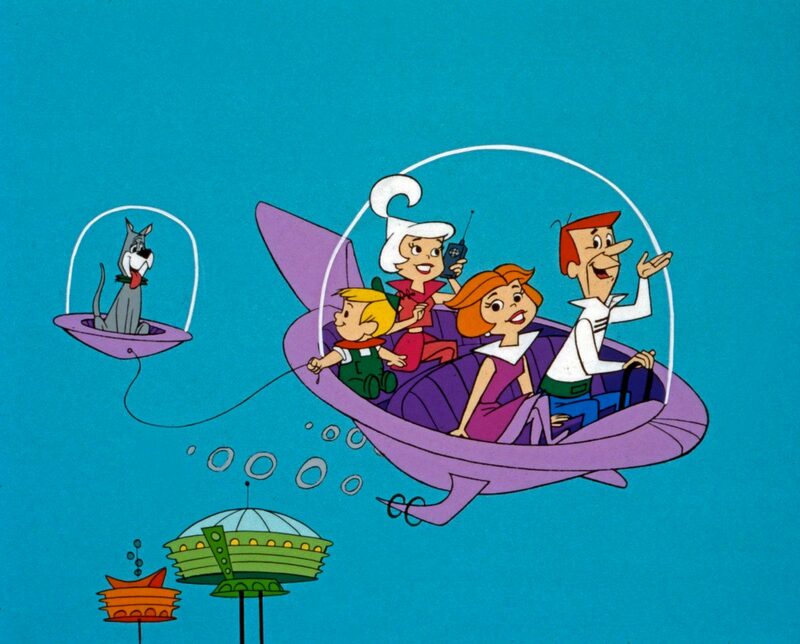 We’ve been smitten with drones since we first watched the debut of the futuristic cartoon “The Jetsons” in 1962. Their world was filled with flying pods carrying people, pets, robots, supplies – seamlessly traversing in and out of flying traffic. Today’s drones lack the utopian ability to transport people but their incredible potential to change the supply chain and warehousing world is a reality. In 2013 Amazon’s CEO Jeff Bezos revealed on 60 Minutes that the company would soon start air-delivery for customers using drones. People were sceptical. But in 2016, it happened. Jeff Bezos tweeted that the “First-ever #AmazonPrimeAir customer delivery [was] in the books” after a drone delivered its first package to a customer in the UK. Seeing that logistical drone in action generated important questions about how drones could change warehouses everywhere. We are eager to learn more about the potential possibilities of drone use within warehouses, so we explored these benefits. Conversations about the safety of drones tend to vary. For starters, it’s important to note that drones can have a positive impact within the warehouse. As an example, warehouse workers often scale shelves with a ladder to scan a barcode, exposing them to the risk of falling. Competitor Drone Deploy says that because of drones, it simply doesn’t make sense to have a worker perform a risky task as long as a drone can do it for them. “Why climb a ladder or walk across a rooftop if you don’t have to? Many inspections come back without actionable findings. Which means that someone put their life on the line for nothing”. On the other hand, there is also a concern that drones are dangerous for warehouse workers. But according to drone technology company PINC, safety measurements can be simplistic and easy-to-manage.“The drones either run at times when no one is working, or if the warehouses run 24 hours – workers are not permitted in the aisles where the drones are working,” says PINC Solutions VP of Marketing Ken Piro. If this technology proves effective, accidents in warehouses can be minimized and productivity will increase since drones can do things like scanning barcodes for humans at a faster rate. With our current expectation of same-day deliveries, optimal inventory management is crucial. 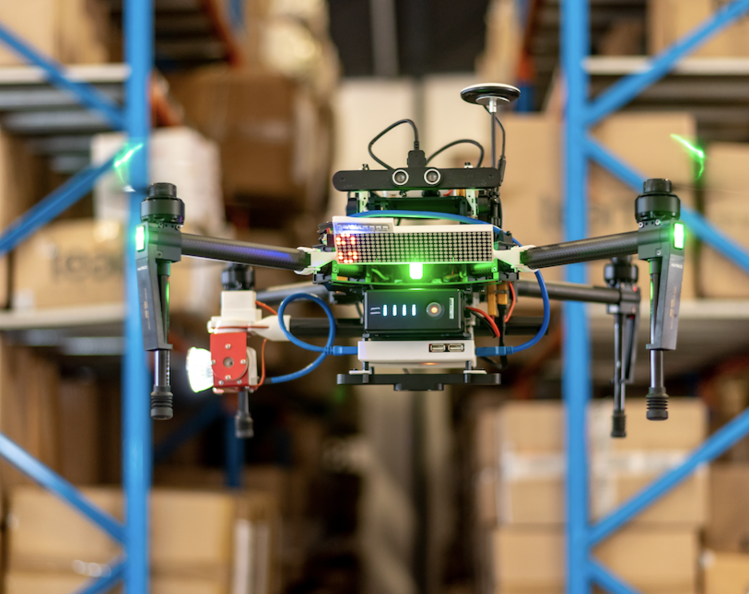 PINC, as mentioned earlier, says drones can be used to supplement repetitive tasks so employees can focus on ones that require more complex thinking – thereby improving inventory management. “Some companies are deploying robots to perform repetitive, simple job tasks and allowing human labourers to focus on tasks that require deeper thinking and strategizing”. Warehouses can cut down on their greenhouse gas emissions by using electric-powered drones – but there’s an added incentive. The financial benefit is that less money can be spent on fuel otherwise spent on trucks. But according to evidence-based news platform The Conversation, logistics companies need to understand the math behind it all. “Even though it’s fighting gravity to stay aloft, an electric drone uses much less energy per mile than a heavy steel delivery truck burning diesel fuel. But a delivery truck or van can carry many packages at once, so the energy needs and environmental effects need to be allocated per package”. Drones have already entered the logistics arena and this trend shows no sign of slowing down. In the future, drones will be crucial for competing in the global market. While continued testing of drones’ reliability and software is required, Canadian Alliance is excited to consider how drones can address our warehousing needs and where they will take us in the future.